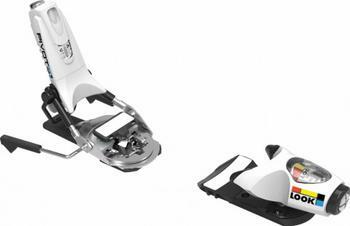 Group Rossignol USA of Park City, Utah, is recalling about 7,500 LOOK Pivot ski bindings sold in the U.S. and Canada. This recall involves 2017-2018 model year LOOK Pivot brand ski bindings. The heel piece can loosen and allow the boot to detach from the ski. The LOOK Pivot ski bindings were sold in black, white and yellow, with LOOK written on the front of the binding and Pivot written on the side of the heel piece. Only date codes of H7, I7 or J7, without the letter ‘V” stamped on the black plastic piece behind the turntable heel unit are included in the recall. Date codes can be found on the bottom of the heel piece and can be viewed by rotating the turntable heel unit 90 degrees. The ski bindings, manufactured in France, were sold at specialty ski stores including Christy Sports, REI, Retail Concepts and Vail Resorts nationwide and online at Backcountry.com and Evo.com from September 2017, through November 2017, for between $375 to $475. Consumers may contact LOOK toll-free at 888-243-6722 from 9 a.m. to 5 p.m.( MT) Monday through Friday, by email at plefler@rossignol.com or online at http://www.look-bindings.com/en-us/product-recall for more information.